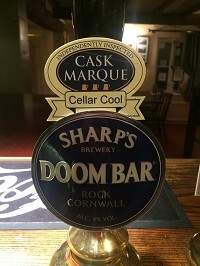 Doom Bar the beer embodies many characteristics which make it worthy to carry the name of this natural wonder. 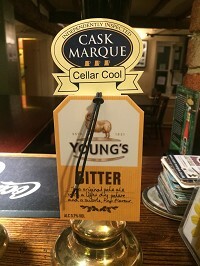 It's distinctive aroma and balanced flavour set it apart from other beers taking unsuspecting first time drinkers by surprise with its moreish appeal. Classic Strong Pale Ale, with a complex and hoppy aroma, has won more awards nationally than any other beer. This includes four times as Champion at the Brewers International and four times as CAMRA Beer of the Year. 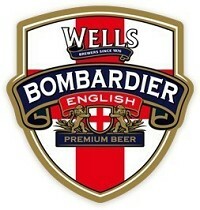 Refreshingly reliable, nationally renowned, this full drinking Pale Ale has real "pulling power". With 175 years of history, this bitter was the first cask beer to carry the Red Tractor logo – proving we use the highest quality barley. 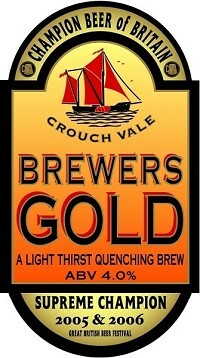 Brewed with the finest East Anglian Pale Ale malt barley, sourced locally to the brewery. We use Fuggles hops which we add late in the boil to preserve the herbal flavours of this traditional English hop. We add more Fuggles to each cask so that the flavour of the hops infuses into the beer. It's a perfect 3.7% abv in cask and 4.1% abv in bottle and can. 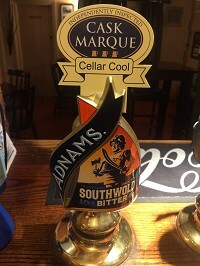 First brewed in 1967, it was originally called Adnams Best Bitter. It holds our oldest trademark, Southwold Jack, and remains the original hero in our range. British Hop Association logo - brewed with British hopsSouthwold Bitter is as distinctive as 'Southwold Jack' (the knight with the sword) who appears on the pump clip and has done so through many incarnations. Many Adnams beer fans would agree with our Head Brewer that Adnams Bitter is a truly distinctive pint. We wouldn't be overselling it to describe it as a classic. Southwold Jack is Adnams longest standing trademark, dating back to the early 20th Century. He can also be found on the wall of the brewery and in St Edmunds church in Southwold. This small wooden figure depicts a young soldier from the 15th Century War of the Roses. Some believe he was based on a real man who walked the streets of Southwold, a local boy who fought as an armoured foot soldier for the Duke of York – we may never know. Named 'Jack the Smiter' he stands at 4 feet 4 inches tall and is constructed of painted wood. Known as a 'Clock Jack', his job is to strike the hours on a church bell with his battle axe. He came to Southwold when the Church was built in the 1400′s. First brewed in 1967, the packaged version was until recently years called 'Suffolk Strong Bitter' and depicted a scene of the brewery on the packaging. Supreme Champion Beer of Britain at the Great British Beer Festival 2005 AND 2006, this is a pale, refreshing and hoppy beer with gorgeous aromas of tropical fruits. Five perfectly balanced ales form our permanent range which is available year round. Boasting a heritage that spans over two and a half centuries, these hand crafted ales are made with the finest hops, malt and Lacons original yeasts. 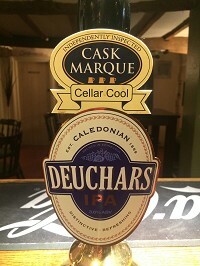 Following their launch, these ales have gained a phenomenal following and are enjoyed throughout East Anglia and beyond. We know the discerning ale drinker expects quality, consistency and flavour with every pint and our tried and tested brewing techniques ensure this. A modern expression of a historic recipe from 1906. Hops include Rakau and Cascade. A beer style born from true innovation that Lacons first brewed in the early twentieth century. Exploring the possibility of producing more consistent and paler ales, brewers found that by changing fuel in malting kilns from wood to coke - which burnt hot and steady - produced a unique well-rounded pale malt. Vintage styled and distinctively balanced with a vivid golden tint. An aroma of crisp fruit greets the nose, rolling into a profound wave of melon and grapefruit. The finish is gracious and bitter sweet. The taste of EPA is unique. Zing from the citrusy hops we use. Pow from its fuller flavour. Phwoar from the crisp finish that leaves you ready for more. It's a refreshing, lighter blonde ale with a 3.6 ABV. 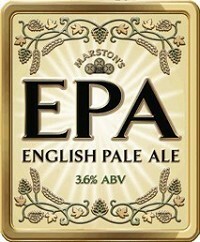 So we have gone back to our roots and re-crafted the original English Pale Ale that we once couldn't get enough of. It's a pint of cold, hoppy, zesty goodness which will knock the socks of the fizzy generic stuff you're used to drinking. Don't take our word for it, go and try one, you'll see.